Judging by the 3.5 million times #shelfie has been used on Instagram, shelves just might be the new…walls. 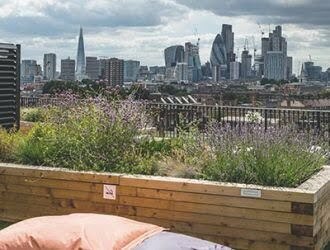 Err, tables? 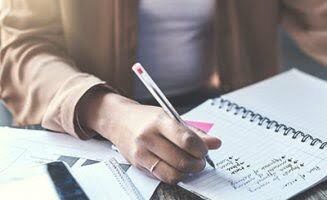 Well anyway, what I do know is that some simple surface styling can instantly up your home’s style credentials at any time of year and create an inviting, lived-in look. Stick to a limited palette with just a few touches of an accent colour you can easily change throughout the seasons. 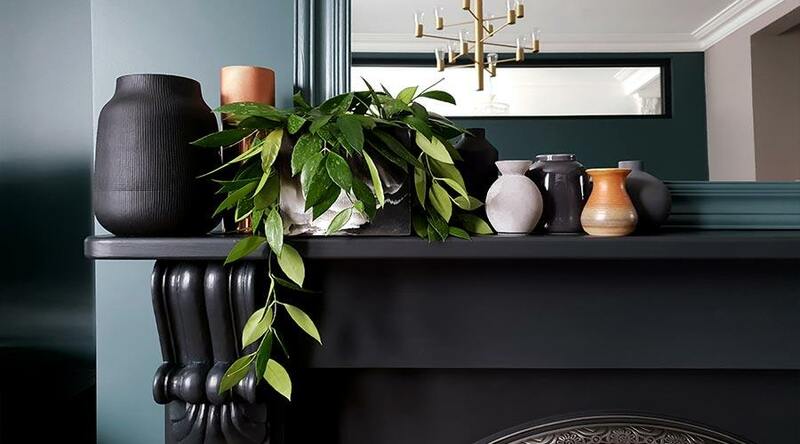 This collection of vases in sober black and grey tones tends to stay on my mantle year-round, with dramatic dark walls as a backdrop. Come October, I add a few copper and terracotta touches, a mini pumpkin or two and it’s instant autumnal. At Christmas it’s another quick switcheroo – orangey tones out and gold and brass accents in, along with some festive foliage and fairy lights. These same greyscale vases get a fresh look in spring with a pretty bunch of blush blooms. You get the idea. This works just as well on a media unit, sideboard or shelf and it doesn’t matter what colour palette you use – as long as it’s limited to just a few complementary shades, this principal works. Try adding extra interest by mixing matte, shiny, natural and textured finishes. The ‘artwork propped oh so casually against the wall’ look isn’t just for magazine shoots. An interesting photograph or painting resting on a shelf or console brings the eye down and lets the art work in combination with the objects around it to create a unified vignette. This trick works especially well in properties with lower ceilings – by keeping everything low-level, the open space up top creates the illusion of loftier heights. I like to stick those little round felt pads to the back of the frame to prevent walls from getting scuffed, and if you’re worried about toppling just anchor the artwork in place with picture wire and a hook so it’s secure but still gives off that effortless just-casually-placed-here vibe. This isn’t a groundbreaking idea, but it’s definitely one worth considering if your home is currently a no-green zone. 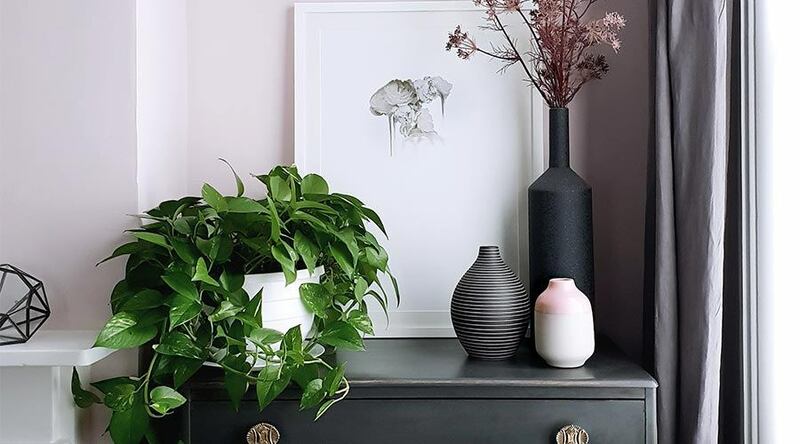 As well as injecting some instant life (literally) into your space, houseplants are incredibly effective at removing toxins from the air you breath. There are low-maintenance varieties suited to all light levels and with a moderate amount of care and occasional re-potting, they can last for decades. Talk about value for money. Consider the visual characteristics of the variety you choose and how it will work with your decor. Full, trailing types like this philodendron add softness to a feminine space and many thrive even in rooms with limited natural light. In a bolder, brighter room, structural succulents might do the trick nicely, or try some feathery ferns or frondy (ok, that should totally be a word, right?) 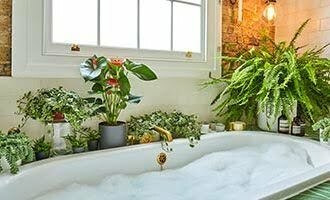 palms to create a jungle oasis in a light and humid bathroom. And fear not – if you’ve misplaced your green thumb, there’s an endless choice of ultra-realistic faux foliage options out there too. 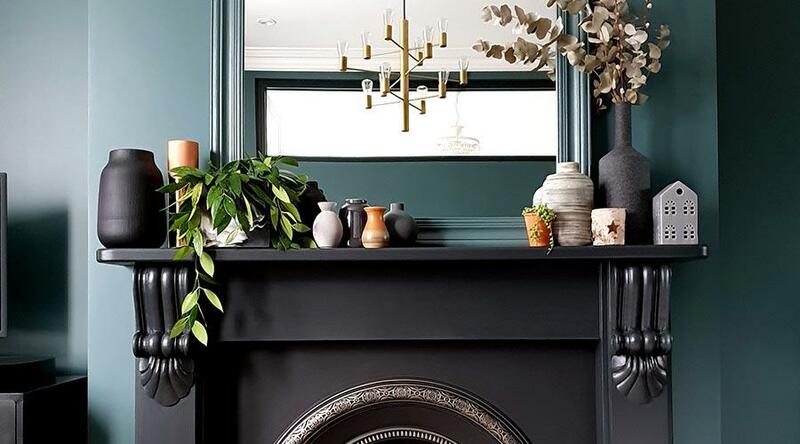 Kristine Hall is the London-based interior stylist, designer and Victorian house renovator behind popular Instagram account @restoringlansdowne and Restoring Lansdowne Interiors. Kristine Hall is the London-based interior stylist, designer and Victorian house renovator.